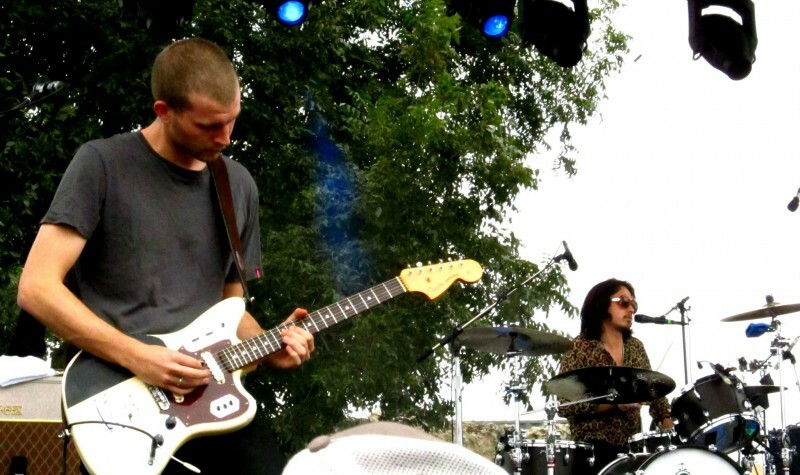 Fresh off the summer release of their debut album, My Love is Cool, UK band Wolf Alice has been touring all over the world and the States. They made a stop in Austin, TX for weekend two of the Austin City Limits Festival and talked with me for a few minutes about music, chocolate pasta, fight clubs, margaritas, and Netflix-and-chilling. I’m Taryn Peters from KTSW at ACL Fest. Here with Wolf Alice. If you could say your name and what you do. Joel: I’m Joel. I play the drums. Joff: I’m Joff. I play guitar. Theo: I’m Theo. I play bass. Ellie: I’m Ellie. I sing and play guitar. What are you most looking forward to? Or what are you excited for? Joel: Hopefully the crowd. The crowds. We’ve played in Austin a couple times before, and it’s been really fun – at South By, at our own show. And they all had really great people turned up, so excited to see who’s here today. Anyone you’re looking forward to seeing at ACL? Theo: Run The Jewels, Tame Impala. Those are the only two I can think of. Joel: The Foo Fighters are playing today. Theo: The Foo Fighters are playing later, which is sick. Joel: Disclosure playing today. The Maccabees are playing at 1 p.m. today. They’re really good from England, if you don’t know them. That’s all I know of. Alright, so did you guys take a tour bus down here? How’s the tour bus look? Theo: The tour bus is very nice. It’s nicer than the ones in the UK, they’re wider. And they’re higher as well. You don’t hit your head all the time when you’re trying to brush your teeth or put your knickers on. Driving around, what do you guys do in your down time? Theo: Fight. Physical fight clubs. I thought the number one rule about Fight Club is you don’t talk about Fight Club? Theo: We broke that rule. So, movie fans? Do you do Netflix? Joel: We haven’t got streaming on our bus, so we can’t. But the TV’s got pretty good… I watched Alien 3 at like 9 a.m. the other day. Blade Runner. Bram Stoker’s Dracula. 2015’s been a pretty big year for music. A lot of people are releasing stuff, including y’all, so what else besides y’all’s album have you been listening to this year or recently? 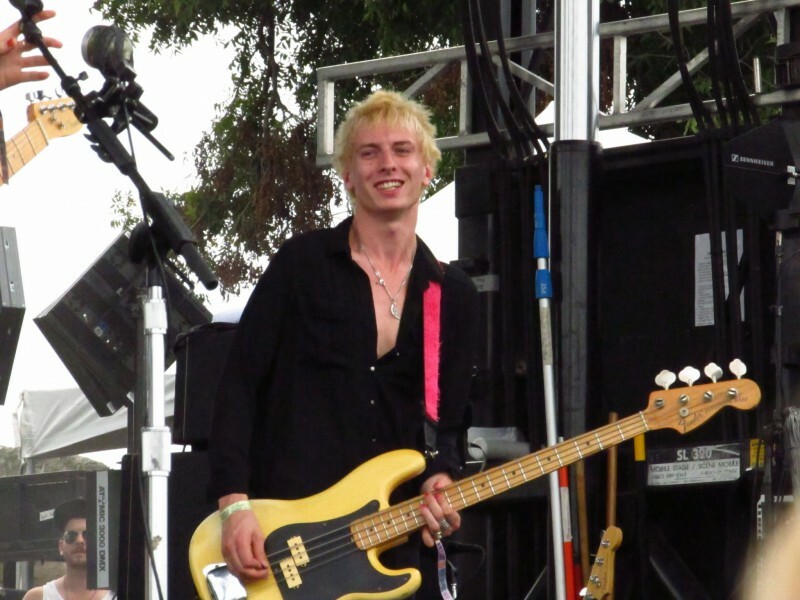 Joel: This band called Swim Deep from the UK, and their record literally just came out called Mothers. And that’s an amazing record. It’s worth checking out, definitely. If your album was a meal or dessert, what would it be and why? You can add like sides on it. Theo: Chocolate carbonara. Cheese and chocolate. Oh, I disagree. So Austin. You’ve been here before. Is there anything that you maybe missed last time in Austin that you want to try and check out this time? Joff: This is our fourth. Theo: This is our fourth trip to Austin, which is so weird that we’ve been here four times. The Iron Cactus is probably the best place I’ve ever been in my life. I love that place. Their frozen margaritas are so delicious. I love Austin. We all do. Anything else you want to say? 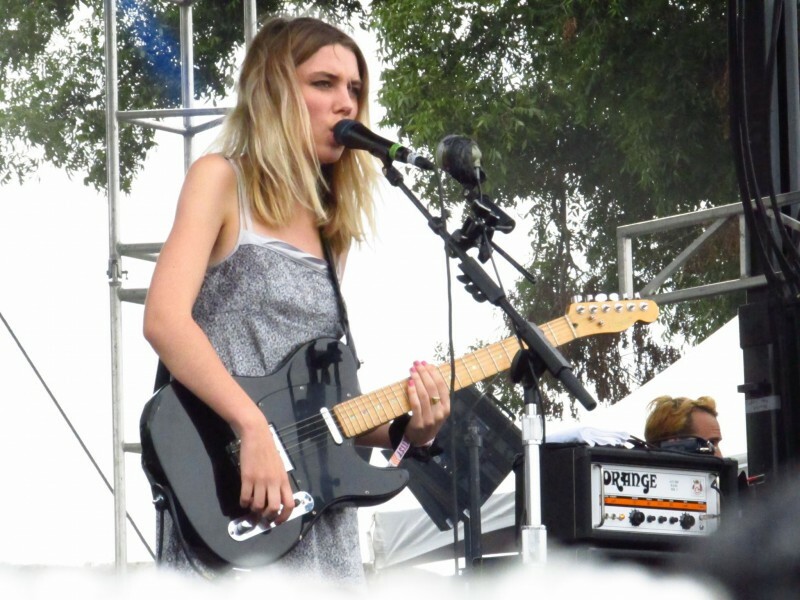 What’s up next for Wolf Alice? Y’all still have a tour? Theo: We’re doing a movie. A movie? What’s that about? Joel: No, it’s very boring. Theo: Nothing. Come watch us play on our extensive tour that finishes on the 20th… 19th of this month in Dallas.